Looking for a simple+pretty way to make your gift wrap special? 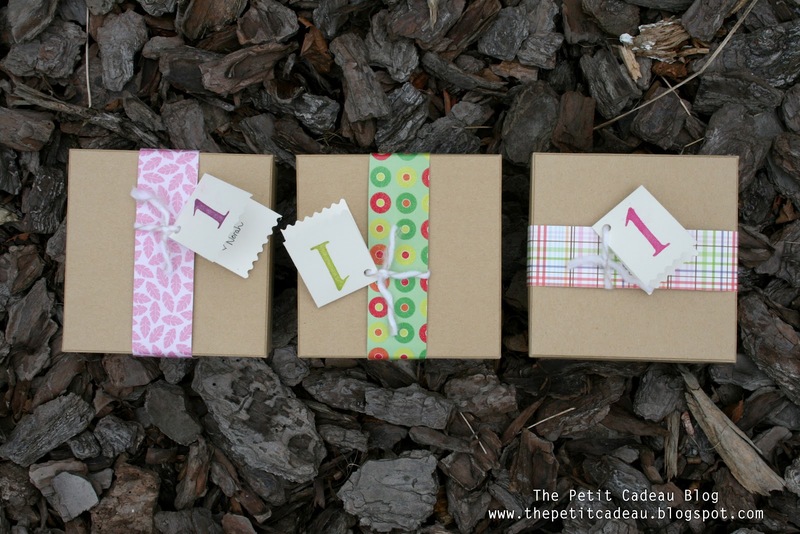 Add a colorful paper sleeve to small plain boxes or wrapping. Simply cut a strip from a 12x12 piece of scrapbooking paper in a colour and pattern that suits your gift (these were for children's gifts). I added little hand-stamped tags, and voila! Plain wrapping with style - and it's so easy that anyone can do it! Thanks Janice! I've been experimenting with a lot of gift toppers to make things pretty!